To become the benchmark builder of bespoke and iconic automobiles worldwide. 2: To initiate production of bespoke and iconic automobiles. 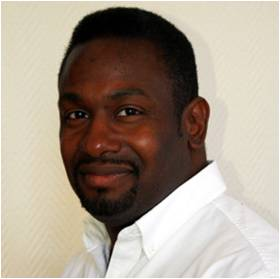 With over 20 years in logistics, shipping and operations management, Errol has gained his multinational experience working with Intralox Inc.as head of operations and obtaining his qualification from the University of Amsterdam, with certifications in project management and Six Sigma disciplines. Jeff Benglian has a background consisting of experience in Electrical and computer engineering, sales & marketing with Robotics (ABB), Laser technology, motion systems (Rofin-Sinar Laser) & Computer micro-processors, transistors, UV lithography systems (ASML-Netherlands) over a span of 7 years. He has also been involved with the production and management of computer graphic design and conceptual artwork for various local studios in Michigan. Leila Nassabeh currently holds an MSc in Project Management. Her background consists of experience in marketing & engineering with 3i-Infotech(Hyundai), Madar Steel Industries, AIRams Sony. Also has gained experience in project management & diplomacy working for British Embassy in Moscow. Has obtained a MSc in International Management from University of Liverpool.